The Ceramic Studio is on the same site as the Anagama Kiln. 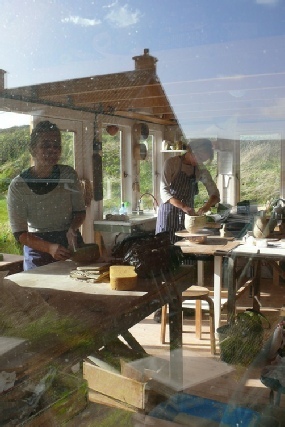 It also houses an electric kiln and has space for workshops classes and informal pottery events. Light and sunny the studio is a fully equipped functional practical workspace with it’s own heating for cold days and magnificent views.